On Tuesday, March 26, 2019 at 12pm- BRAWS supporters and student leaders were honored to join Congresswoman Grace Meng (D-NY), along with other menstrual equity advocates, at the steps of the US Capitol for a press conference. Congresswoman Meng announced her legislation, the Menstrual Equity for All Act of 2019, the first comprehensive bill in Congress that seeks to address the hardships women and girls face in affording and accessing menstrual products. BRAWS celebrated International Women's Day with the screening of the Oscar winning movie, "Period. End of Sentence." This 26-minute documentary highlights the ways that women are combating the crushing stigma of menstruation and improving accessibility of sanitary products in rural India. So thankful for everyone’s participation on our panel and our Moderator, Catherine S. Read. BRAWS Founder and Executive Director, Holly Seibold, was invited to participate in a panel discussion entitled "Menstrual Equity: Practical Action to Public Policy" at Netroots Nation in New Orleans with Moderator Catherine Read, and panelists Jennifer Boysko, Mark Keam and Jennifer Weiss-Wolf. Click here to view video footage. we are making herstory in Virginia! In a huge victory for women’s equality, D.C. Mayor Muriel E. Bowser (D) included partial funding for the “tampon tax repeal” in her proposed fiscal 2019 budget . If the D.C. Council adopts her proposal, women in the District — who earn just 86 cents to every man’s dollar, on average — will no longer face the added indignity of having to pay tax on menstrual products. The mayor’s decision to fund the tampon tax repeal demonstrates her leadership on menstrual equity, an issue that has become a national movement. I founded Bringing Resources to Aid Women’s Shelters (BRAWS) in 2015 to address the lack of access to menstrual products many women and girls experience locally. 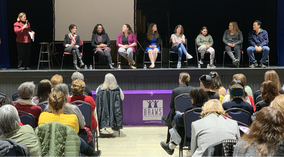 BRAWS is a local nonprofit that collects and distributes menstrual products and new bras and underwear (with tags on) to women in shelters in the District, Maryland and Virginia. Through our work, we became aware of this overwhelming need. Delegate Jennifer Barton Boysko's #TamponTax Bill, cosponsored by Delegate Mark Keam, made it through the Virginia House Finance Subcommittee yesterday! It is headed to Finance Whole Committee vote this afternoon. 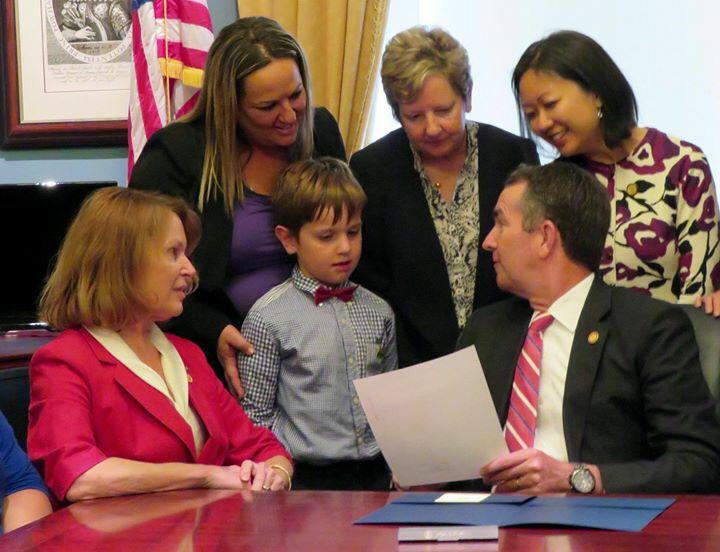 January 25-Update: #HB1434 was well received with bipartisan support. Committee member Delegate Jennifer Barton Boysko spoke in support of the bill. Lobbyists from the school board and superintendents office spoke in opposition, but that was to be expected. FCPS claims that the cost would be $500,000 a year on their budget. This bill is an unfunded mandate, which is the sticky point. Members were concerned about the costs on school districts. The chairwoman decided to delay the vote until next week and give the patron of the bill, Delegate Mark Keam, some time to consider funding sources. Although it's frustrating that such common sense legislation is struggling to survive, I have to tell you, THIS bill is the first piece of menstruation legislation NOT killed immediately in subcommittee and THAT IS PROGRESS!!! Keep resisting! Keep persisting!!! It's working!! A HUGE thanks to the many supporters who traveled to Richmond today in support of this bill and thanks to Meredith Nakayama for patiently preparing us! And most of all, thank you to my delegate, Mark Keam, for championing this bill and fighting for the dignity and education of our daughters, nieces, sisters and granddaughters! We will have another opportunity next week, so keep calling and writing your representatives! January 24th- Delegate Mark Keam’s bill on menstrual equality was heard in the House Education Subcommittee. 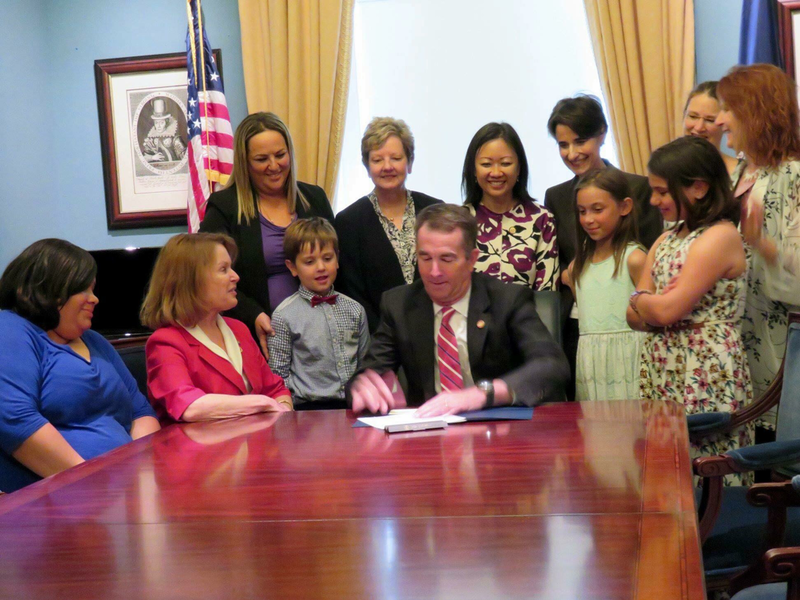 The bill would provide free access to feminine hygiene products in schools across Virginia. Several moving testimonies were offered, including two by Fairfax Education Association members, Matthew Wallace and Hailz Russom. Their personal stories about their experiences as male teachers, in both elementary and high schools, demonstrates the inequality girls are experiencing by not having easy access to these products in school. Thank you, Delegate Mark Keam and Delegate Jennifer Barton Boysko, for your unwavering support! Currently, children who menstruate have to often navigate a very complex system of school protocols, with multiple barriers, as they search to access menstrual supplies. This complicated situation often leads to: stained clothing, infection, due to overuse, valuable instruction time missed, absence from school for multiple days each month, a compromised and inequitable education, fear, shame, and humiliation. The consequences of not being able to access a pad or tampon during the school day is traumatic, especially to our most vulnerable pre-teen and teenage girls. 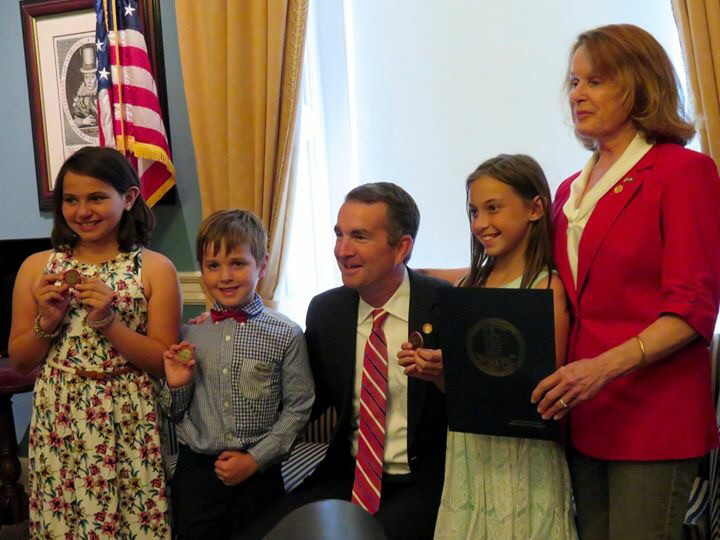 This bill is an easy solution to a massive problem for girls in our schools. Delegates Brenda Pogge, Robinson, Leftwich, Glenn Davis, LaRock, Landes, McGuire, Jeff Bourne, Jennifer Barton Boysko, Chris Hurst, and Debra Rodman will have the opportunity to do the right thing tomorrow and (my hope) is that they will have the ability to put politics aside and do WHAT IS BEST for our children!! If you live in any of the subcommittee members' districts, please contact them ASAP and encourage them to support this legislation! Thank you! We are excited to announce that BRAWS- with the help of the legislation Clinic at the UDC David A. Clarke School of Law and sponsors Rep. Gerry Connolly (D-VA-11) and Sen. Tim Kaine (D- Va)- held a Congressional Briefing on Wednesday, Nov. 29th from 10-11:30 am in Capital Visitor's Center (SVC) Room 203-02. This Briefing, entitled "Voices of Women and Girls on Menstruation, Dignity, and the Issue of Access,” consisted of women and girls sharing their stories of how limited or restricted access to menstrual products – in shelters, schools, and correctional facilities – had impacted their lives. Through this open dialogue, we hoped to illustrate lapses in current policy in order to demonstrate the need for additional, inclusive policy solutions. Good morning, Chairman Mendelson and Members of the Committee of the Whole. My name is Holly Seibold and I am the Founder and Executive Director of BRAWS (which stands for Bringing Resources to Aid Women’s Shelters). BRAWS was started nearly three years ago with the goal of bringing dignity and​ ​empowerment to women and girls in shelters by providing them with new, personally fitted bras and​ ​feminine hygiene products. Last Fall, ​I was honored to testify before the Committee on Finance & Revenue in support of the Feminine Hygiene and Diapers Sales Tax Exemption Amendment Act of 2016, which would repeal the tax on feminine hygiene products in the District. We were beyond thrilled ​when the Council passed the tampon tax repeal into la​w, sending a message to the nation that inequality will not be tolerated in DC. However, ​ ​our celebration turned to disma​y when we saw that the Mayor's budget for Fiscal Year 2018 failed to fund the law. BRAWS also serves homeless and impoverished girls ​who do not have freedom ​or confidence and are ​​extremely limited ​during their monthly menstrua​l​ cycle. ​In fact, girls​ right here in DC choose to​​ ​miss multiple days of school ​during their period, instead of suffering the embarrassment of not being protected and clean. ​BRAWS provid​es​ pads and tampons to girls​ - ​we’re enabling girls to receive an​ ​uninterrupted education and help remove this anxiety from their everyday lives.​ ​ But the need is great and we can’t do it alone. A​s you can see, it is incredibly important to our organization—and this community—that we increase access to and the​ ​affordability of feminine hygiene products. We urge you to ensure that funding for DC Law 21-201 is included in the 2018 budget, so that the tax on feminine hygiene products may truly be repealed. Thank you for the opportunity to speak with you today. Our names are Tracey G. Jackson and Denisha Jones and we are student attorneys in the Legislation Clinic at the University of the District of Columbia David A. Clarke School of Law (UDC-DCSL). 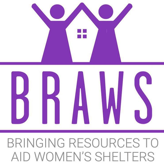 On behalf of our client, BRAWS (Bringing Resources to Aid Women’s Shelters), we want to commend you for your work and efforts for women’s equality. In continuation of this work, we urge you to help increase access to feminine hygiene products in DC by securing appropriations for the law you authored and championed, the Feminine Hygiene and Diapers Sales Tax Exemption Amendment Act of 2016. As you know, DC Law 21-201 must be funded to realize the desired repeal of the “tampon tax.” We were disappointed to see that the Mayor’s budget for Fiscal Year 2018 did not include funding for this crucial provision for women and girls in the District. Our colleagues in the Legislation Clinic were honored to meet you and testify before the Committee on Finance and Revenue on behalf of BRAWS in support of your bill last fall. As you may recall, BRAWS supports women and girls in the Greater DC area by providing feminine hygiene products as well as new bras and underwear to shelters. In the course of serving approximately 2,000 individuals, BRAWS has seen firsthand how sorely needed pads and tampons are in shelters. If the tax remains in place, it will only further impede women and girls’ access to these medically necessary items. With the Council’s review of the budget underway, we ask that you help ensure that funding is included for this important step toward menstrual equity. We would welcome opportunities to advocate for funding the law, including by providing testimony for the Committee on Finance & Revenue’s Budget Oversight Hearing or reaching out to other Councilmembers who share the same values. We understand this is a hectic time, but please let us know if you or a member of your staff is able to meet and discuss how we can aid in the process. If a meeting is not possible, we would sincerely appreciate any direction or information you might be able to provide by email. In closing, we appreciate all you do for DC residents and your continued leadership in helping women and girls in our community access necessary feminine hygiene products. We look forward to your response. Tracey G. Jackson, Ph.D. Denisha Jones, Ph.D.
Our own Holly Seibold was part of the panel discussion! May 24th 10 am-We were very glad to have participated in Congresswoman Grace Meng's panel discussion on, "The Case for #MenstrualEquity: How Policies Surrounding Menstruation Affect Outcomes for Women" in the Rayburn House Office Building, House Foreign Affairs Subcommittee Room- it was certainly an empowering morning! On May 8th, BRAWS was honored to welcome Lieutenant Governor Ralph Northam, Candidate for Governor, and Delegate Jennifer B. Boysko, Sponsor of the Dignity Act - the 2017 bill to provide tax free purchases on basic necessities, for an evening of discussion at Caboose Brewing Co, 520 Mill St NE, Vienna, VA. Special thanks to Delegate Mark Keam for joining us, Laura Goyer Photography for the amazing photos and Caboose Brewing for their hospitality! It was a great evening raising awareness and collecting donations for BRAWS! My name is Holly Seibold and I am the founder of BRAWS. We supply homeless women in shelters and homeless girls in schools with undergarments and feminine hygiene products. I would like to address feminine hygiene products in particular- such as pads and tampons. Women and girls menstruate for 4-7 days each month. During this time women and girls need menstrual supplies to have the freedom to work, go to school, participate in sports, engage in social activities, and pursue their dreams. Without these products, women and girls are frozen- inprisoned by the biology of their own bodies. Unfortunately government legislation, mostly designed by male representatives, ignores the basic needs of women. Federal programs such as SNAP, WIC and Medicaid (even though the FDA categorizes these items as medical devices) does not include these items when assisting women. Shelters, prisons, public government buildings and schools are not allocated money to purchase these items for women and girls. Tampons and pads are taxed heavily- 6% in stores Virginia- and these items are already expensive with an average box costing about $10. The additional tax really makes a tough economic impact- especially for low income women making just enough money to exist above poverty level. Given that women are already making 80 cents on every mans dollar, this added penalty really is the difference between food on the table or meeting feminine hygiene needs. The women and girls I am describing are not a population of residents in another town far away. These individuals are right here in Vienna and all over Fairfax county. They are victims of domestic violence, single moms, women who lost their jobs suddenly and gave bills to pay. Girls in your very own district are missing school each month because they do not have access to menstrual supplies. We need policy immediately that addresses the basic needs of women. We need to show our support and recognize that this is an equity issue, that hurts our ENTIRE community. BRAWS was featured on ABC 7 WJLA News discussing VIrginia's upcoming bill, The Dignity Act, that will exempt feminine hygiene products from sales tax. Check it out HERE. ​Please check out the piece in the Connection Newspaper HERE. 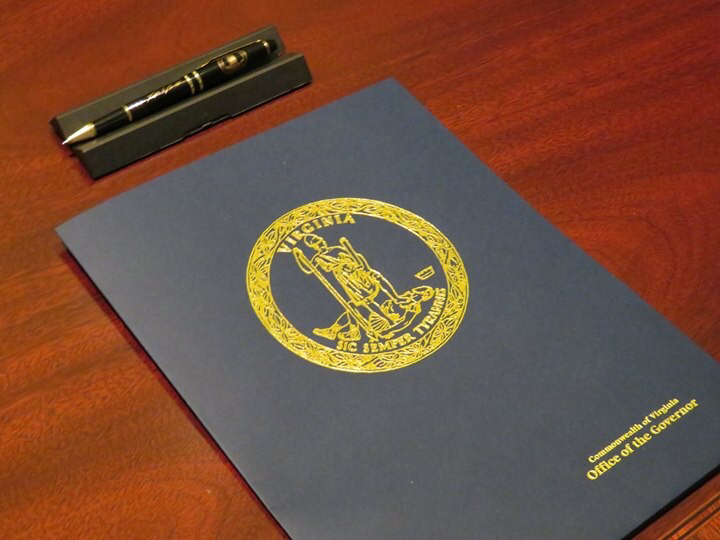 Click HERE for the link to Delegate Jennifer Boysko's proposed bill, The Dignity Act. 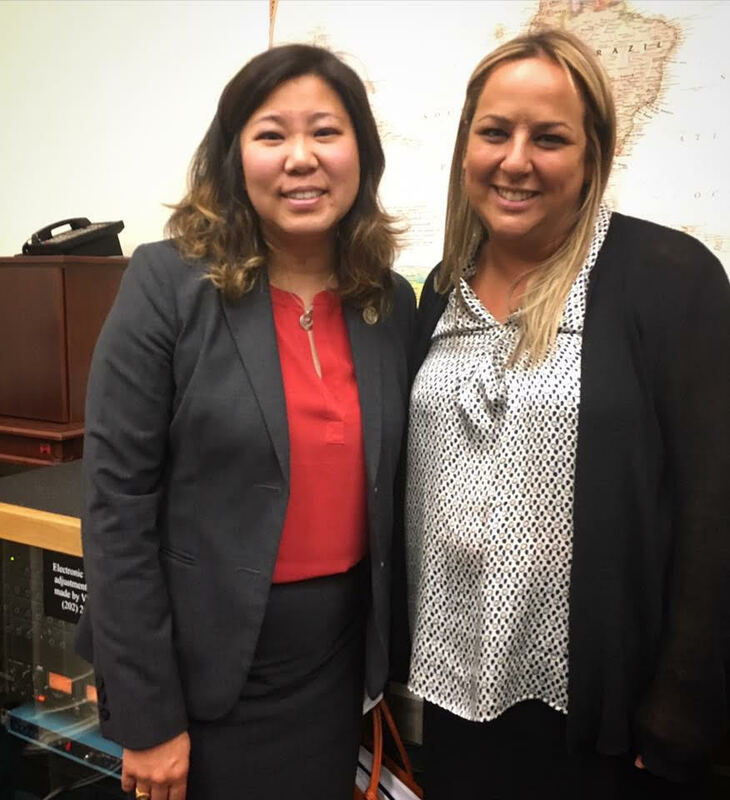 Congresswoman Grace Meng recently introduced the Menstrual Equity Bill. We encourage you to contact your representative today and ask him/her to support this bill! 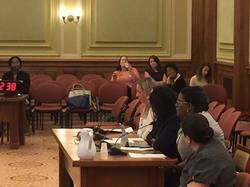 Founder and Executive Director, Holly Seibold, along with two UDC legislative clinic lawyers representing BRAWS recently testified at the DC Council's hearing to repeal the "tampon tax." You can watch the oral testimony at the 1:35 mark and read the entire written testimony below. We are hoping in a few months, women will be able to purchase all feminine hygiene products in DC stores without incurring the extra burden of a 5.75% sales tax.